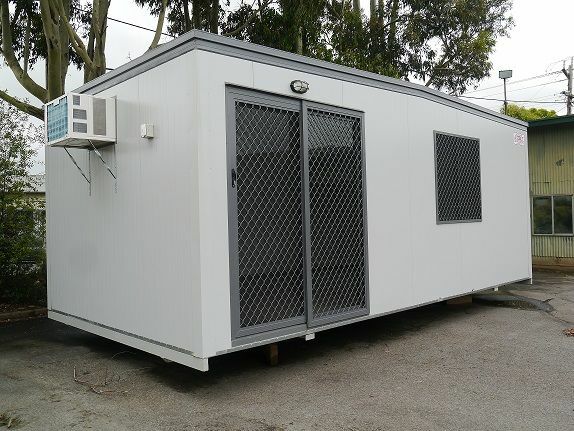 Color coated door and windows, highlight the appearance of this unit, with high thermal efficiant walls and roof panel including under floor insulation compliment the reverse cycle air conditioner. 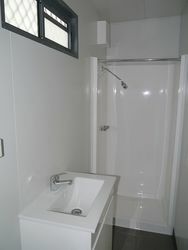 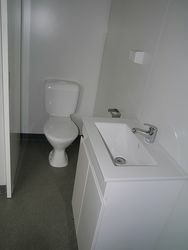 Ensuite includes a spacious easy to clean fibreglass shower cubicle, modern vanity unit and shower facilitys. 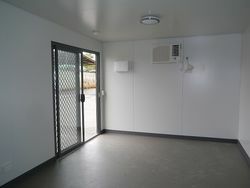 This new display unit is available for immediate delivery, so call our office for a free quotation.